Pan Pacific Manila the ultimate indulgence! 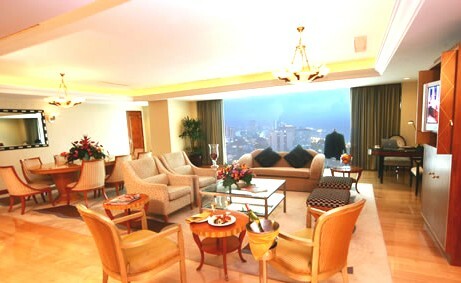 Pan Pacific Manila is one of the finest five-star hotels in the Philippines. This luxury hotel boasts of delivering royal treatment by providing all guests with impeccable 'Butler Service', a unique concept of consolidated services associated with the utmost personalized care, providing personalized service like never before and an experience of true luxury. A five star luxury business hotel, designed to offer a comfortable stay for business travellers with its excellent facilities and service, it has 236 all-executive rooms and 7 spacious function rooms that cater to all your needs, even if you are demanding. Security-wise, four Belgian and German Shepherds go on rounds to thoroughly check the vicinity from the car park basement to the top floor. The usual baggage check is also being done while one of these K-9s is on the lookout. Pan Pacific Manila where is it? Located at the heart of the historical and cultural district of Malate in Manila, the Pan Pacific Manila Hotel is just a short drive from the city's convention, exhibition and business centres. It is just eight kilometers away from the Ninoy Aquino International Airport. Make sure you visit the Sundeck Sunset Massage. Here, you can experience a day of healing and relaxation with a spectacular view of the sunset over Manila Bay. 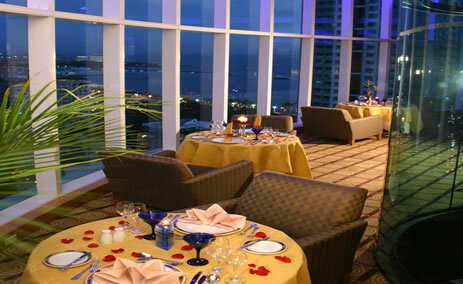 It is ideally located on Pan Pacific Manila's 7th Floor Sundeck. The Sundeck setting creates an indulgent atmosphere where you can watch the glory of nature's sunset while enjoying a luxurious massage right in the heart of the city. The Pan Pacific takes pride in its Presidential Suite. At 178 square meters, it has a Master Bedroom, a guestroom, a living room, a dining area that can seat eight people and a kitchen equipped with a gas range and refrigerator, what more would you want, bring the whole family and still have room! The stylishly elegant Master Bedroom has floor-to-ceiling glass windows that offer a breathtaking view of the city, a mini walk-in closet, a vanity area, and a spacious bathroom that offers male and female toilet facilities and a bathtub that operates as a Jacuzzi. The hotel also has the “Pacific Lounge.” It encompasses the top floor of the hotel, afforded by floor-to-ceiling glass walls that include private meeting rooms (complimentary use to guests), a separate lounge, dining area and bar and a rooftop garden with gazebo. The Pacific Lounge is the perfect spot to start the day with buffet breakfast or unwind in the evening with a cocktail. What else can I find in the Pan Pacific Manila? In the same four-storey base of the hotel is an extraordinary dining and entertainment facility, Adriatico Square, with several independetly managed international food and beverage, entertainment and specialty outlets. An outdoor swimming pool and jacuzzi and a Health and Fitness Centre round out the facilities within the Pan Pacific Manila Hotel. The splendour of Adriatico Square, is a gourmet's paradise, with several acclaimed restaurants and bars securely under one roof, that blend together to create Manila's premier culinary destination. Other dining outlets available are the Lobby Lounge and Pool Counter. Restaurants at the Adriatico Square include Le Japon Café, Gyumon, Gloria Jean's Coffees, Fruit Pops, Healthyleecious Noodle House, Miyabi Express, Sun SinCapuccino, Giftshop, Kissweet, Miyabi Japanese Restaurant, Casino Filipino, China Place, Mini Shabu Shabu and Tong Yang. Literally something for everyone. Conveniently located at the ground floor, the hotel's Business Centre offers services and facilities essential to the travelling business executive, such as professional and comprehensive secretarial services, state-of-the-art office equipment and any other business requirements. 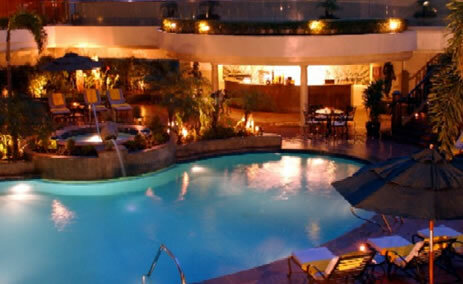 Pan Pacific Manila Hotel has a total of seven fully equipped function rooms. This luxury business hotel in Manila spoils you for choice. So whether you wish for a grand ballroom that can accommodate up to 300 people for a banquet, or smaller meeting rooms for intimate gatherings, Pan Pacific Manila Hotel has it all. All function rooms are provided with a telephone unit outside, from which you can make internal and complimentary local calls. This executive hotel in Manila also has video-conferencing capabilities, broadband internet access and a comprehensive range of audio-visual equipment. Their courteous waiters, food and beverage captains, and banquet sales associates will always be there for you, pre-function to post-function, to make sure your expectations are exceeded. Have YOU stayed at the Pan Pacific Manila? Share your tip or review on the Pan Pacific Manila with everyone!